My officemate and I were looking for somewhere to have a quick lunch so we could get on with the rest of our tasks for the day. After scouring the lunch options at nearby M Place, we decided upon Hong Kong Roasting, attracted by the budget-friendly rice topping options and the assurance of the restaurant manager that the food will be served immediately. 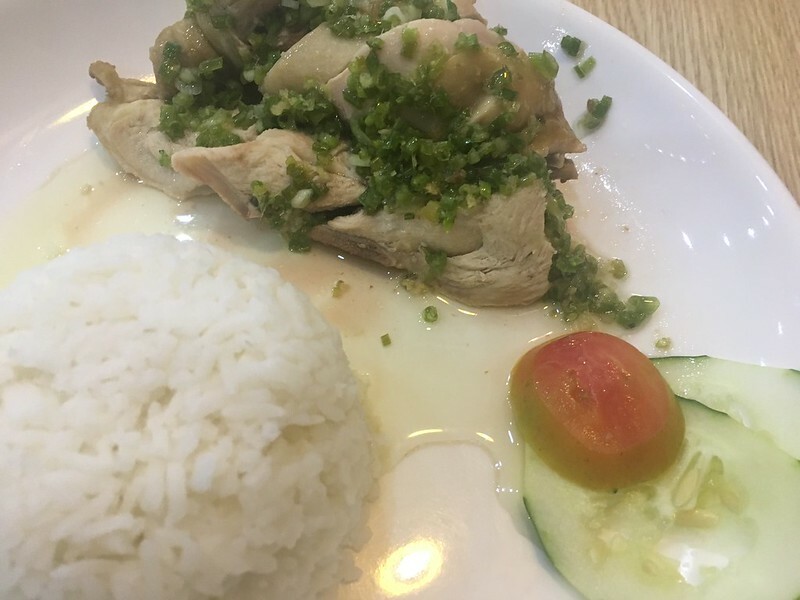 Soy Chicken Rice Topping (Php155). 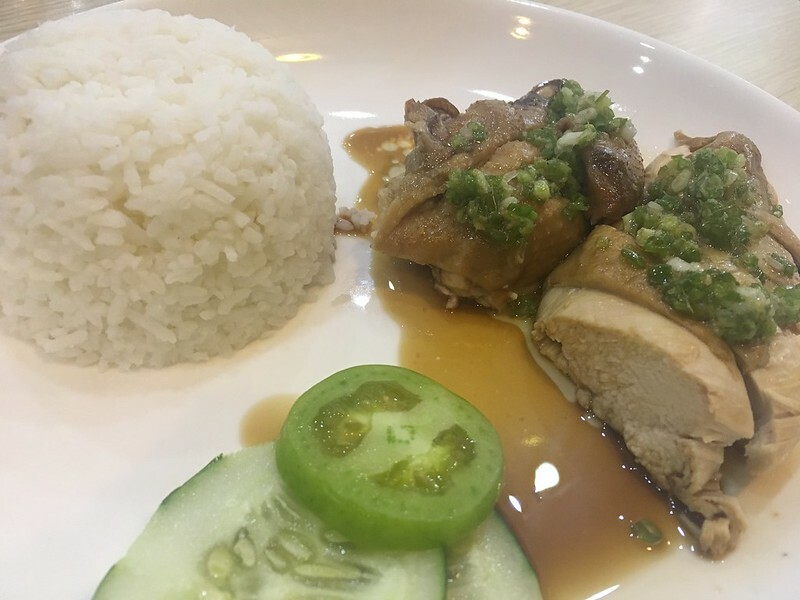 Cantonese Chicken Rice Topping (Php155). 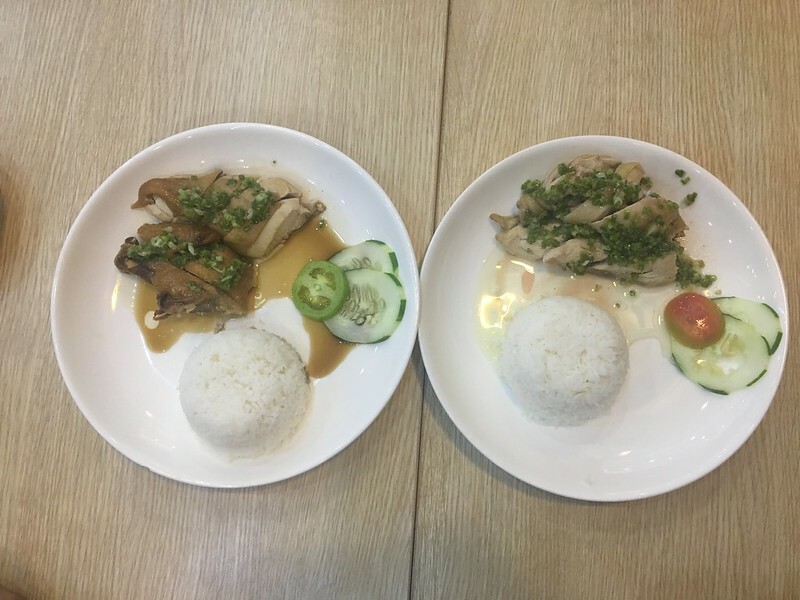 Both are versions of the Chinese steamed chicken dish, one just features darker skin than the other due to addition of soy sauce. They were accompanied by chili and ginger sauces which we found a bit too mild. Still, it was a quick, affordable and fuss-free lunch, and another item was added to our group’s lunch options. This Hong Kong Roasting branch is located at M Place, Panay Avenue, South Triangle, Quezon City, open daily from 10am to 10pm.